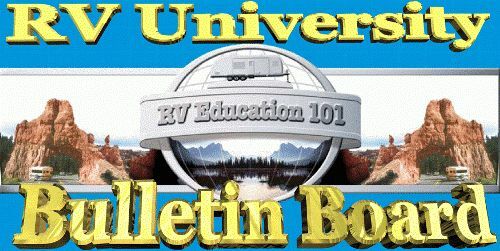 They offer a full line of RV Educational and RV walk through dvds. 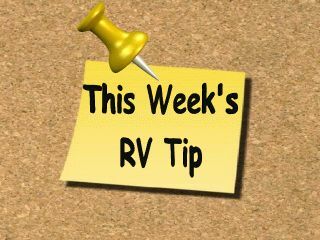 RV Buzz Quick Tip: You should never add air to tires when they are hot. Hot air expands and you get false tire pressure readings. Adding or letting air out of a hot tire can lead to over or under-inflation. Always check and add air to tires when they are cold, before traveling more than one mile. What is Tyler’s favorite kind of RV? 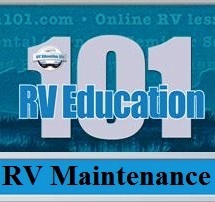 Steer Safe If you drive a motorhome you probably experience issues with the steering from time to time. Steering issues can result from a passing truck, high winds, soft shoulders and from road wander to name a few. Some of these issues can be white knuckle driving experiences. I discovered a product that can prevent all of these steering issues when you’re on the road. It is called Steer Safe. Steer Safe is installed on your vehicle's front steering arms and simply clamps onto the front axle. There is no welding required, you just bolt it on. Once it is installed the Steer Safe's patented oscillating fulcrum bar makes it the only true steering stabilizer on the market. It provides up to 400 lbs. of preset tension on each front wheel working against any outside forces. Steer safe keeps your front wheels pointing straight, even during a blowout. Steer Safe protects you against front tire blowouts, potholes, soft shoulders, high winds, wandering, accidental encounters with curbs and high medians. It also reduces driver stress and fatigue. There is no maintenance required because Steer Safe is equipped with Delrin bearings which never require servicing. Don’t miss the next episode when Mark tests the plumbing system for leaks and starts installing more metal. Inverters are nice to have at times when you are dry camping and/or when you don’t have access to 120-volts AC. Batteries produce power in Direct Current (DC) that run at low voltages. Power companies and AC generators produce sine wave Alternating Current (AC), which is used to operate 120-volt appliances and electronic equipment. 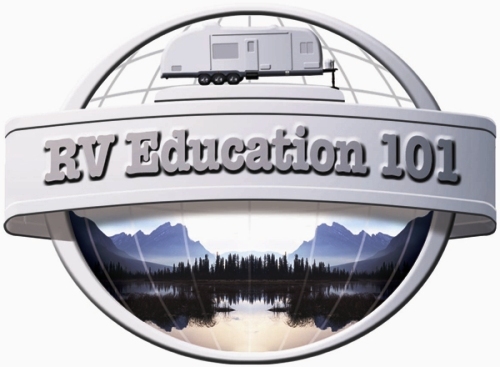 An inverter takes 12-volt DC power from your RV batteries and electronically changes it to 120-volt AC. 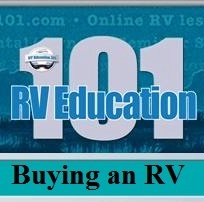 Some RVers use an inverter just to watch TV or for their personal computer. 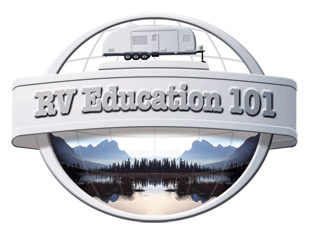 Other RVers use an inverter to operate microwaves, coffee pots or other larger appliances. When you purchase an inverter the inverter’s output capacity must be capable of operating the loads that will be placed on it. 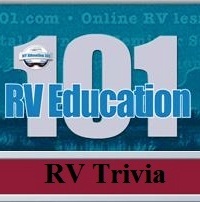 Inverters have two different capacity ratings. Continuous output rating and surge capacity rating. Continuous output is the maximum wattage the inverter can output for a long time period. Surge capacity is the maximum wattage the inverter can output during initial start up. All appliances require more power when they start, compared to what they use when they are running. They can use as much as two or three times the amount to start then what they use to run, so the starting power required for any appliance that you plan to use with the inverter must be within the surge capacity rating. There are modified sine wave inverters and true sine wave inverters. A true sine wave inverter is more expensive, but they are capable of producing power as good as the power company and all appliances and electronic equipment will run as they are intended to. Keep in mind you are drawing the power from your RV batteries and any power used has to be put back in through some type of effective charging system. 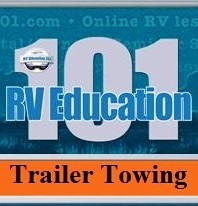 The reason you can back a boat trailer, but not a toad is that the boat trailer doesn't have a set of steering front wheels. A while back an engineer at Blue Ox experimented backing several towed vehicles. The results weren't good. One person would drive the motorhome and another would attempt to steer the front wheels of the toad. The problem was, in every test, the front wheels would unexpectedly turn drastically to one side making the steering wheel violently spin out of control. If a person has their hands or arm caught in the steering wheel the results could be a broken finger, hand or arm. Even when they attempted to back straight back the wheels would turn, and it was with other manufacturers tow bars too. You should never attempt to back a toad! "The reason this happens is not the tow bar but rather the caster angle in the front end of the towed vehicle. Caster is the forward tilt of the steering axis versus vertical. It provides steering stability, steering returnability and cornering ease. In reverse, the caster angle makes the wheels want to turn around the other direction like "casters" on your office chair or shopping cart. We all know they can't turn all the way around on a car, but they will turn off to the side as far as the steering mechanism will let them. This is virtually undetectable from the driver's seat in the motorhome making this a very scary situation. If you continue to back up, after the wheels have turned, the tires "scrub" or slide sideways causing damage to the tires. 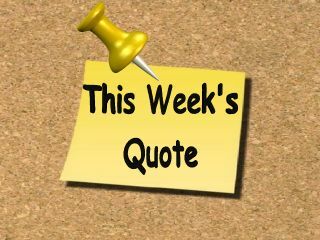 Other things caused by this are; severe stress to the steering components, suspension and towing system components." Watch the RV Cooking Show: A virtual cooking class on wheels with an RV travel component, The RV Cooking Show takes viewers on adventures to some of the most sought-after or interesting but little-known RV locations in the country and then creates a healthy, easy, delicious destination-related dish in host Evanne Schmarder’s RV kitchen.Each less-than-10-minute episode - part travelogue, part cooking show - shares travel tips, ideas and recommendations on popular RVing locales and products then walks viewers through the preparation of a delicious destination-related dish. 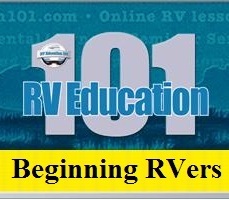 Past episodes include a tour of Albuquerque’s 505 Chili Factory and Huevos Rancheros, Mojitos and the Fabulous Florida Keys and a salmon dinner in conjunction with the spectacular Olympic National Park.Viewers have the option of watching the RV Cooking Show on YouTube, various RV-related websites such as Camping.com and RVDreamRadio or on the RV Cooking Show website. 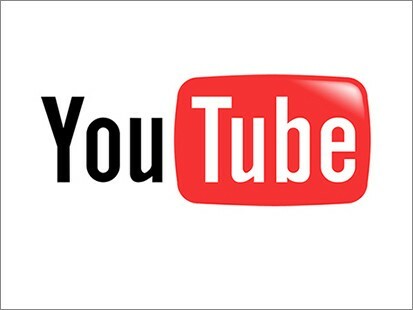 So as not to miss a single savory episode, viewers may subscribe to the show on YouTube or on this website. 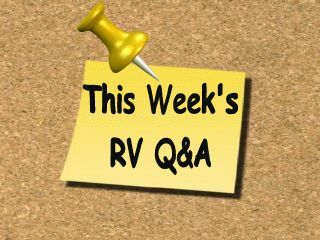 An RV industry insider, full-time RVer Ms. Schmarder connects with viewers in part by "living the (their) RV dream". She is a professional speaker, writer, foodie and unabashed explorer.